Far away in a year unheard of, Korski is about to finish his last transport and then he will be released. Years of punishment have been worked off in labor camp on cold lonely Mars haven't been easy for Korski, and they aren't going to be in easing up any time soon in Waxwing Games' free, indie, sci-fi point-and-click game. In fact, things are about to get much, much worse. At first, Korski just needs to finish the job, but then he needs everything he has, and of course anything and everything he can pick up along the way, to keep himself alive. Camp 1 is a classic retro style puzzle adventure with a small color palette. Yet this slower paced but still captivating game will probably be one of the most beautiful adventures you'll play this month, even if it takes place on a frozen barren planet, and its dark story will keep you locked in even if the art doesn't. Any items you can click on to interact in some way with will have their name pop up when you are in their hotspot, though some of these are small. 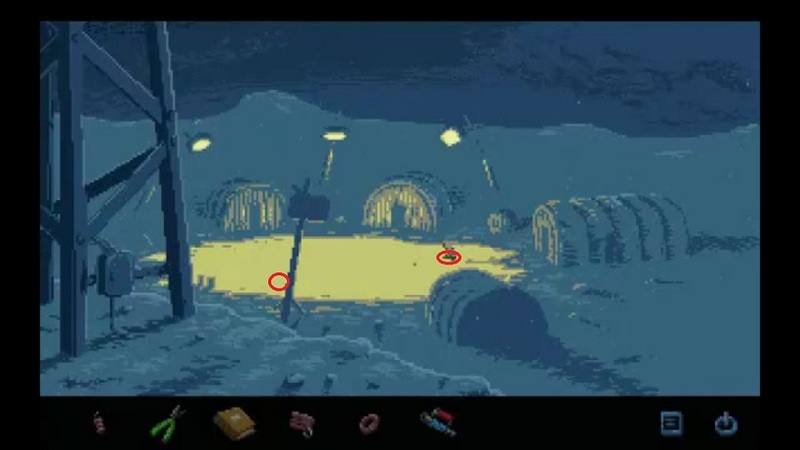 With a pixelated look and the basic color pallets, it's easy to miss needed items and even locations you can travel to. You can't move on without the necessary pieces to solve future puzzles, so no worries about losing the game that way. To put it simply, unless you are overly thorough you're going to need a lot of patience with yourself. Don't be afraid to click on things more than once, since examining some items a few times can get different results and always try everything with everything. 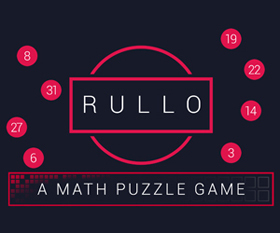 With some of the puzzles a little bit of a logical stretch and the many times I know you're going to be stuck for a while you may wonder why I'm recommending this game. Well, what issues may seem like a deal breaker to some become minuscule compared to the story, the characters, and the perfect feel of the grand old days of point-and-click adventures. No matter how frustrated you may get you will always come back to complete the story. Even though Korski is in a position none of us will probably ever find ourselves, you'll be connected fullheartedly to a man you know so little about. Even though you'll be lost a bit more than you'd like, you won't regret playing this dark tale of isolation and mystery that is called Camp 1. Camp 1 Walkthrough now available! First, we need the key for the Pallet Jack. Left click on it to see that it’s locked and then talk to Adwa to get the key. Send the Jack forward, into the cargo ship and then forward again, to put it under the boxes. Lift and right click on the boxes to get that form. The first person to give the form is Parker, who will politely tell you that there is a pen on the desk. Give the form to Adwa, then to Chen who’s inside the ship. Sign it yourself and talk to Adwa again. Go inside the ship and attempt to take off. There will be a problem with the coordinates, so go talk to Parker about it. You’re good to go. Once you wake up, grab the metal bar next to the boxes. Use it to open the locker. 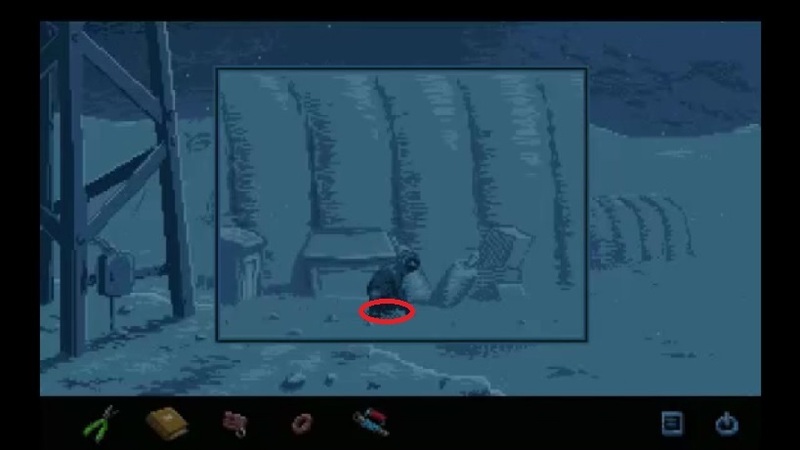 Put on the suit and look for the barely visible “something shiny” under the door - https://jayisgames.com/images/Something-shiny.jpg . Right click on the Hinge to get a Washer out of it. You will also find a Headset on one of the windshields. Use the washer on the red panels at the door. Right click on the screen and go to the page that says “Individual Bolt Status”. Click on it and go back to the panels on the door. Turn the knobs and after each turn take a look at the screen. Rotate until all the lights are green and the door will open. Go inside the rig and open the small panel on the left side. Rotate the magnet to the other side, lower it and turn it on. Lift and then press the “Calibrate Gyro” button. Lower again, turn off the magnet and go to the counterweight. 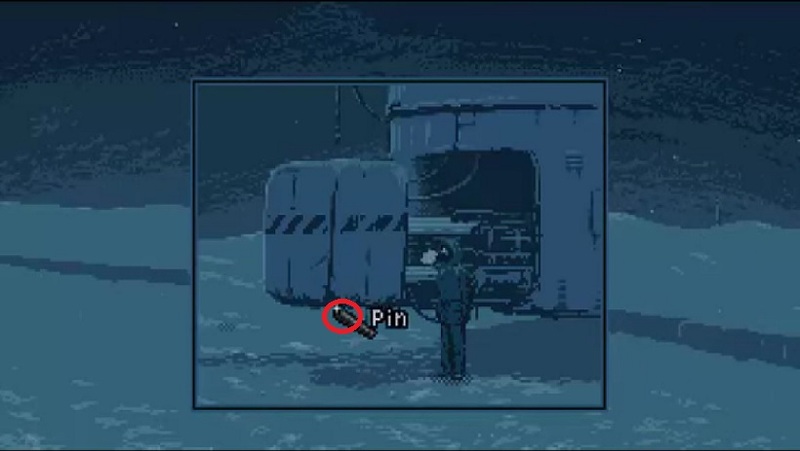 Right below the counterweight, you’ll find a “pin” which isn’t visible - https://jayisgames.com/images/Pin.jpg . Use the pipe to remove it and get back on the rig. The magnet should be lowered and rotated to the side of the counterweight. Once this is done, simply turn on the magnet and it will pull out the counterweight. Rotate to the other side, lower and again turn on the magnet. Finally, lift until the rig falls off and walk on the crane arm to get to the other side. Go inside the closest tent, where Parker was in the beginning. Go to the right to find her and get a key from her. Go to Parker’s computer and check her notes. In the second one, you’ll find an assembly chart for the filter. Each number represents a different part. The “Edit” added to the note also states that 447 needs to be there as well. Check the papers below the desk to find out which parts the numbers correspond to (keep in mind that 11448 and 11449 must be swapped). Once you have the new filtering mask and can go outside, visit the very next tent on the right. Use Parker’s key to unlock her locker and take the manual. From the laundry, a wire can be taken and under the bunk a magazine can be found. “Oily Stallions” is part of Chen’s computer password, which will be needed in the future. Inside the toilet, grab the hose from the back and try to exit the tent. Go to the screen next to the door and then back to the heater. Adwa will talk to you and explain why he’s keeping the door locked. In order to get out of the tent, go to the control panel on the front door. Turn the heat all the way up and exit, then again turn it all the way down and the wall will crack open. Go out and into the tent on the right, where the generators are. Use the manual on the generators to get some additional info. Grab the metal shears from the tool box and use the washer to open the box on the right, then use the manual on it. Use the shears to cut the hose (back from the toilet) and put it inside the box. Click on the hose next to the box to put it in and start assembling the ones inside. 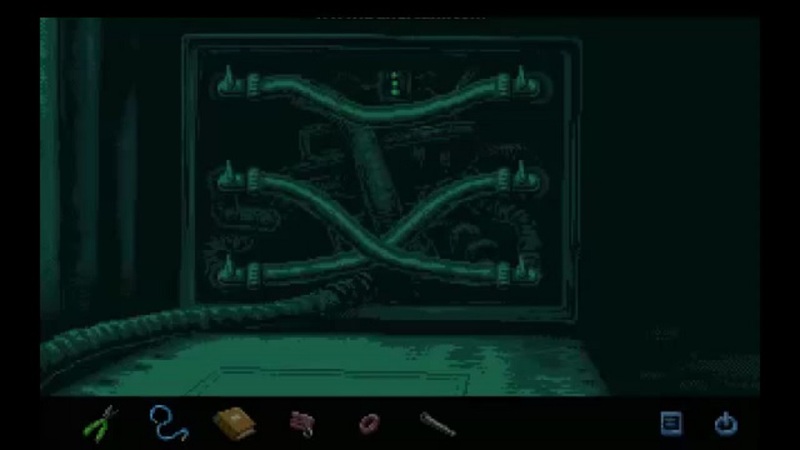 The end result should look like this – https://jayisgames.com/images/Hoses.jpg . Finally, use the manual on the display in order to restart the generators. Go behind the tent on the right and look inside the bin to find a radio, then go back to the first tent. Once inside, grab a screwdriver and pliers from the tools. Use the screwdriver on the radio to disassemble it. Examine the mask on the wall and use the pliers to remove the old circuit, then replace it. Login: Chen 1140108, Password: 1140108oilystallions. Once you’ve went through Chen’s files, go to the mask and talk to Adwa. Go to the mast and use the shears to loosen the ice below the control box. Grab whatever it is inside the lump of ice and head back inside the tent with the cracked wall. After the conversation with Chen, go to the toilet and drop the lump of ice inside to incinerate it. Go behind the tent and combine the pipe with the wire and the battery. Use the newly made magnet on the bin to find the key to the control box. Go to the mast and use the key on the control box. After you’ve found out that you need a new fuse, go to the tent with the toilet again. Grab the fuse from the fridge and attempt to replace it inside the control box (use shears to take off the old one). Once that fails, go back to the tent where Parker is. Use the fuse with the jar of needles to fix it and go back to place it again. Right click on the fuses to see the number you need for each row. The switches have three positions: Up – negative; Middle – neutral; Down – positive. The sum in each row must be equal to the number on the fuse. 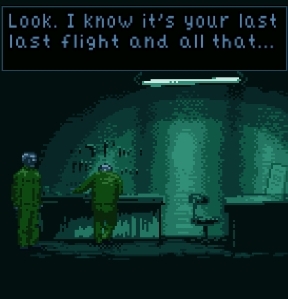 The end result should look like this – https://jayisgames.com/images/Switches.jpg . Go to the garage at the back of the locked tent. Examine the snow mobile and you’ll notice that four spark plugs are missing. Those are quite tricky to find as they are not visible on the screen. Spark Plugs locations: https://jayisgames.com/images/Spark1.jpg , https://jayisgames.com/images/Spark23.jpg , https://jayisgames.com/images/Spark4.jpg . Simply walk over the location and the magnet will pick up the plug. Use the Flex Winders to give some power and give it another try. Go back to the generators tent and click on the display. Go to the [Output] menu. In order to turn the power in Tent 2 back on, turn it off for another random tent (all 4 tents cannot have power at the same time). The snow mobile will now start. Open the pack box on the side of your snow mobile and take the flare gun from the first aid kit. Grab a lump of ice and shoot a flare in the sky. Once Chen gets up, throw the lump of ice in her face and quickly shoot at her with the flare gun. Terrific recommendation - I'm partway through and loving it. 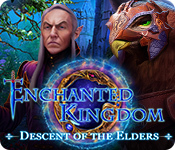 It's a little clunky at points and does use some adventure game logic, but the world-building is top notch. I can't say enough about the art style, either, it's very Loom meets The Thing. Just a blast. Hope the ending is up to the standard of the story so far. What a fantastic game! A few aspects could have been a little more logical, but overall a really great experience. I feel like an idiot, but despite clicking everything multiple times, I haven't been able to get past the first puzzle. Any chance of nudge in the right direction? 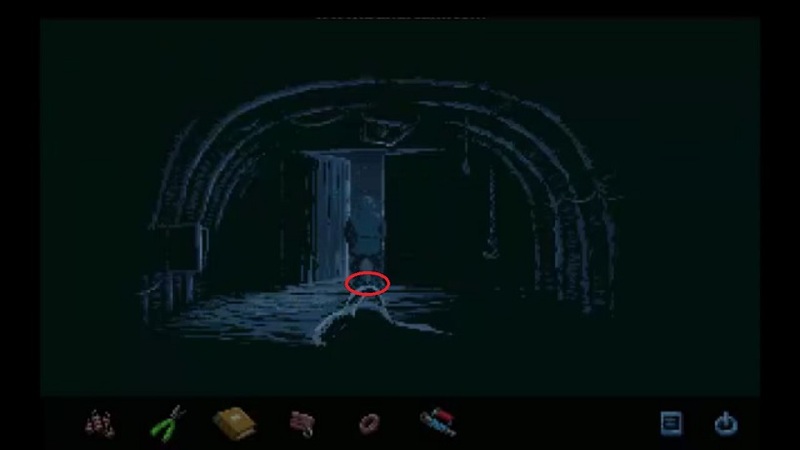 you need to interact with an item which isn't visible even in the screen where you interact with it, and there's no reason even to think that that screen even exists, as your character basically skips past it until you've already half-solved the puzzle. I was busy recalibrating the gyro at all sorts of weird angles for about 10 minutes! There is only one pile of boxes I can lift and there is nothing under it, or under any other box. My pixel hunting patience is giving up. Yes, sorry, I should've warned you further about that. 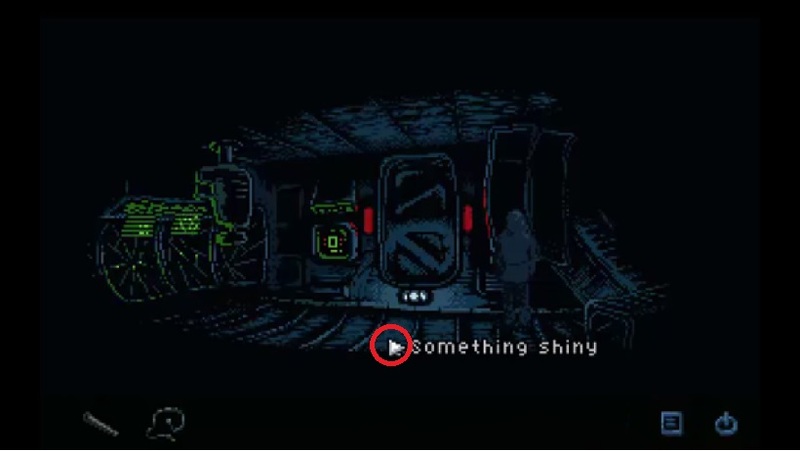 There will be a few times in the game where you need to re-inspect things that haven't changed graphically and without prompting, or even one or two occasions when you need to interact with something that's not actually visible on the screen. You kind of have to guess that the object would be there? Fortunately, you still get a little hover text to let you know that you've found a hotspot. Despite the description of the snow as being as hard as concrete, you can and must dig into it. It turns out that the screen actually pans to the right if you walk far enough that way. And there's the beacon blinking away on the horizon as expected. So you get into the crane, you find the gyro calibration switch, and you try every which-way you can to make the crane do what you obviously need it to do. But it just won't oblige! You need to calibrate the gyro so that when the crane is level, the counterweight sticks out of the end which is not over the chasm, then click on the rig again to get out, and finally click on the counterweight to examine it more closely. Got that far but you're still stumped? There's an invisible locking pin somewhere on the bottom of the counterweight. Remove it, return the the rig, and the next move you make ought to cause the counterweight to shoot out of the crane. I'm sure I followed the two clues (one in Parker's computer, the other on a paper on the floor next to her desk) correctly the first time, but it didn't work. Then I tried another way which was also wrong. Then I used the same order I thought I used the first time, except that I put the case on second-last rather than second, and it worked. So the game may be picky about that, even though there's no indication in the game. Or I may have just mucked it up the first time. All you can really do here is fiddle with the environmental controls. Go to extremes. Keep at it. What on Mars is this manual for?/How do I hook up these pipes in the generator? The manual provides a vital clue for repairing the generators when you use it in the right place. What is "infusion" and where can I get some? It just means coolant, as in the coolant which is literally flowing freely through the hose which is handily next to the box. Where is the key to the fuse box? Someone dropped it very near by, the last time the fuse box was serviced. But it, uh, might be difficult to use right away. Where do I find a metal pot or substitute so I can use the kitchen stove? The toilet doesn't flush. It incinerates. Oh great, the replacement fuse blew. But how do I fix it? Now what the heck is with these switches? 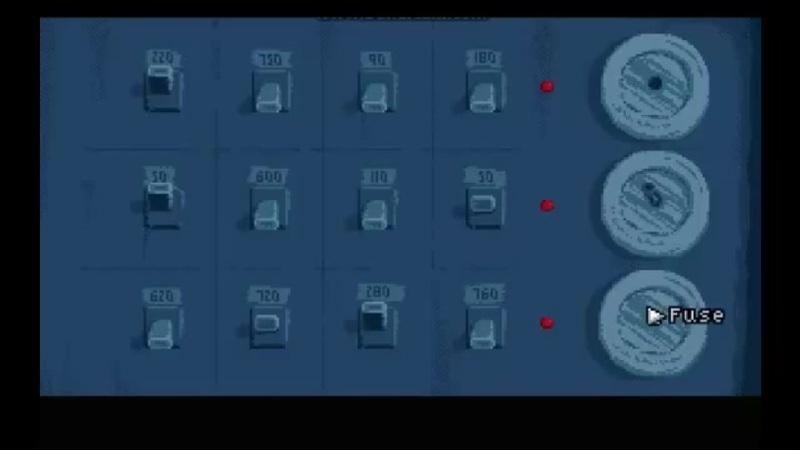 Each switch has three positions. The center position is "neutral", while the upper and lower positions are negative and positive. I think down is positive, but I don't remember clearly. Anyway, that should be enough for you to figure out the rest of the solution yourself; I think that the middle row should be an easy way to experiment. One's near the bins behind the dormitory tent, one's in the garage, and two are in the courtyard. Once you have the right item, all you need to do is walk close enough to them and Korski will automatically find them and pick them up. Stuck in a gun fight and you didn't even bring a knife? It's in the snowmobile's first aid kit, along with an apparently inexhaustible supply of shells. 1. Fire into the sky. 2. Now you can throw a lump of snow in their face to distract them. 3. Aim straight between their eyes. I give up. Can't get out of the crashed shuttle. Have hinges, metal bar and a headset. Any help would be appreciated. Did you look at the hinge? Also, should you get completely stuck: I posted a walkthrough on the game's gamejolt page. I'm afraid link dropping is not allowed around here, so you will have to find your way there on your own. The casing can go in anywhere between the first and the last cap. I'm pretty sure we tested that thoroughly. The counterweight is actually pulled out by the magnet. Thanks - somehow I managed to read all instructions, including the manual, without realizing right click let you examine. A real facepalm moment. So, managed to play AND finish the game. Story was great, the mood, the atmosphere, I really liked all that. Sadly however, I... well... didn't actually like the gameplay. I've played a number of point and click games, escape games etc. but found this one too difficult. Often, it was far too difficult to determine what goes with what. Unfortunately, I think to sum up what I mean, I felt there was too much trial and error going on and that is no fun. Eventually, in a few places I couldn't rely on logic to get me through but just purely, try this on this, this on that, do this, then do that, *sigh*, ok maybe this with this, ok let's try the whole thing again but do this one thing differently etc. The crane part felt quite a lot like that. Anyway, every other box gets a tick. 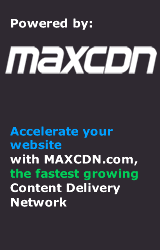 Although just one more thing, need to make it a bit clearer that right-click does things too. I know it's in the manual, but unfortunately, not everyone reads that stuff and this could lead to premature ragequits. Loved it. Well-paced, good storytelling, and puzzles that were difficult, but not unreasonable. Definitely stark; not for people who want an overwhelming visual experience. Music is used sparingly, and to reaaally good effect. Gotta love that Erik Satie. This is my type of indie game; if the developer makes a donation page, I'll throw five bucks their way for sure.